When taking into consideration that the 2016 SELA cohort were just fresher's two years that had just begun their university education, it is quite humbling to realize that some of us got to work on some engineering projects this summer which have a direct impact on the world around us. 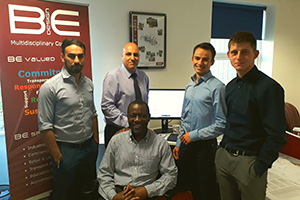 As a second-year engineering student, I had the fortunate opportunity of working for 7 weeks this summer at BE Design, a Civil and Structural Engineering consultancy that operates in a broad range of industry and residential sectors. Personally, I helped design the sub-structure of a 200m x 70m distribution centre, and you'd be amazed by the quantity of work that goes into just that. For those that don't know, the sub-structure refers to the structural components of a building that transfer loads from everything above ground into the soil below. 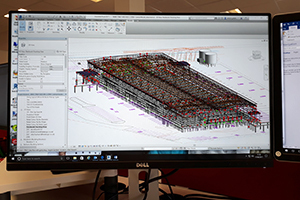 From a design perspective, the challenge is that the sub-structure elements can only be designed once all the loads from the actual structure are known, yet they are at the same time the first elements that will be constructed. Hence an adequate amount of technical judgement is required, because a wrong decision for loads acting on the sub-structure can quickly limit what can be safely constructed above. It is also a lot more expensive to resolve these issues later in the project. Affordable judgement was the name of the game. In addition, the project also had several non-engineering challenges. In terms of project management, the project type was Design and Build, which means that the contractor on site starts building the structure before the entire design has been completed. This puts, as you can imagine, design engineers into quite a stressful situation. 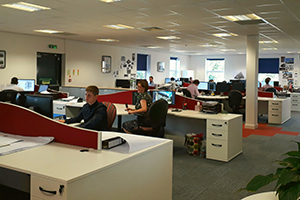 Coordinating with multiple teams across the UK and communicating information succinctly within and outside of the team was crucial. But so is speed of design output, and the engineering proverb of "accuracy over precision" applied here. 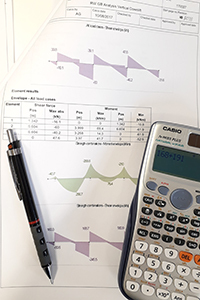 In light of these challenges, it became clear that technical knowledge of various structural theories and a strong understanding of the underlying mechanics are necessary to succeed. 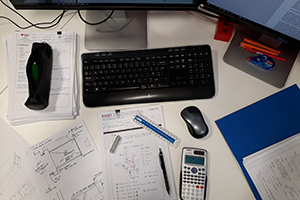 I had the fortunate opportunity to complete both hand calculations and conduct finite element analysis for the design of various reinforced concrete elements. However, the internship showed that no level of technical brilliance will compensate for strong team working skills, the ability to quickly grasp an immense amount of information in a short period of time and being able to consistently meet tight deadlines. My favourite aspect of the internship was the team I got to work on. Our team consisted out of three technicians and two engineers, and we all came from different countries: Israel, Zimbabwe, Greece, England and me from Germany. I was assigned an excellent mentor called Shmuel who worked at the company as a principal engineer, and during the 7 weeks, he probably taught me more engineering knowledge than an entire year of university did. But more importantly, with his over 15 years of experience, he offered invaluable insight into the industry that no lecturer or university professor can provide. For example, it became clear very quickly that there is an enormous potential for automation in the Civil and Structural industry. While the technology has not arrived to 3D print the actual construction of a structure, it is theoretically possible to automate the design. To be competitive in the consulting business, one needs to be able to complete the same task quicker or cheaper than a competitor. So far, due to the sheer complexity of projects and the lack of programming skills in the industry, this field has remained largely untouched. However, I see here an enormous opportunity for young engineers as myself. Even with rather elementary coding skills, I could automate a pile cap design process for over 200 pile caps, each for 6 different load case scenarios. If the same calculations had been completed by hand, and even with the best of engineering judgement, the same process would easily have taken weeks instead of days. For BE Design, this meant being able to move the project forward quicker, and I received high praise from the directors for it. 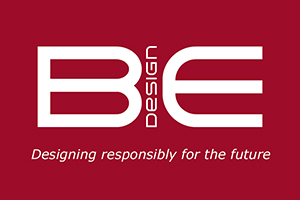 In recognition for my work, BE Design offered me sponsorship for my remaining 3 years at university, as well as the opportunity to complete my Year in Industry with them and to start my career in their Newark office as a graduate engineer. I am very thankful for all the opportunities BE Design has offered me to develop myself and jump-start my career. 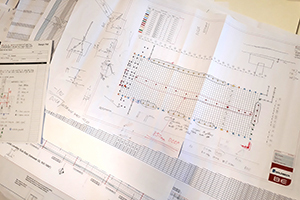 The point is that there exists a demand for people willing to push the current engineering design practice forward. Innovation often lies at the intersection of two different yet ordinary ideas. My university education will provide the technical foundation of the traditional design approaches used today in the industry. But I am convinced that combining that with rigorous programming skills, a thorough understanding of computational mechanics and developing automated 3D design approaches would push the industry forward. These skills aren't currently taught in civil and structural engineering degrees, they require personal initiative, especially in an industry in which people resist change simply due to the enormous scale and complexity of projects. Yet no one has ever changed the world by sticking to what it offers. Change only comes about when people decide to lead first, and it begins with the observation that things can be done differently. After all, isn’t the whole point of leadership about setting a vision first, and then putting your heart and mind to seeing it fulfilled?